Whenever we hear the word “Reggae” we think of dreadlocks and non-violence. But this music genre, born in the 1960s, goes far beyond all clichés. 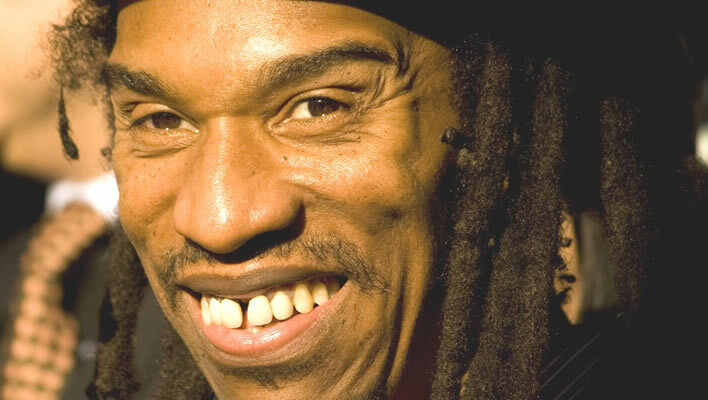 The most popular Jamaican music continues to evolve and to expand its influence all around the world. The word “Reggae” was used for the first time in the songs “Do The Reggae” written by Toots in 1968, the band leader of The Maytals, and “Regay” by Tommy McCook. According to Toots, the word comes from the English terms “regular people” or “raggedy”. 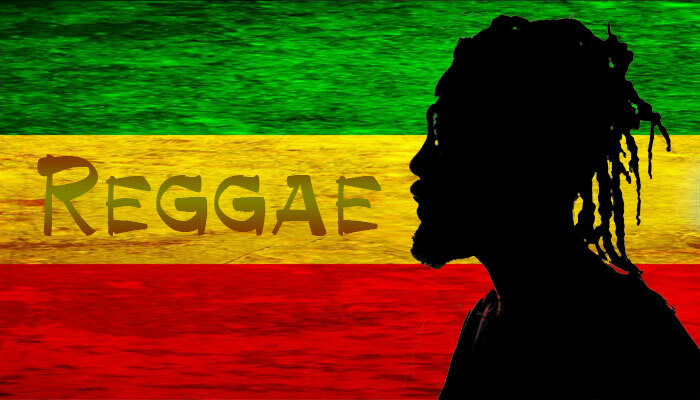 Expression from the population of Jamaica, and in particularly from the ghettos, Reggae music is by its origin, holding a political and religious message called “Rastafarianism”. Founded by the Jamaican Marcus Garvey, this mystical current gets to its development in the United States by preaching the return of all descendants of slaves scattered throughout the American continent, and by situating the promised land of black Africans in Ethiopia. 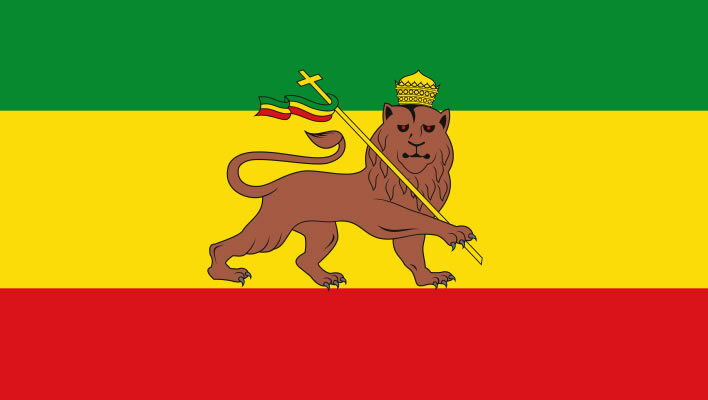 The movement combines biblical thought and pan-Africanism and proclaims as messiah the Emperor of Ethiopia, Hailé Sélassié I from 1930 to 1974, hence the term Rastafarianism – Ras tafari means “King of Kings” in Amharic (the official in Ethiopia). Nicknamed Jah (for Jehovah), the sovereign is considered the direct descendant of the line of Solomon and the Queen of Sheba, and represents the black branch of the tribes of Israel. He is considered as a sacred character not only for his origin, but also for the meaning of his birth name, like the one chosen by the priests of the Ethiopian Orthodox Church, for his sacrament. The choice of the meaning of names is, in fact, very important and primordial in African culture. 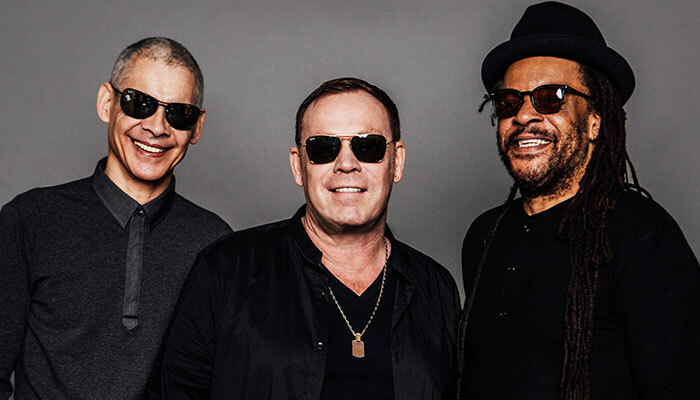 The white oppression is embodied by Babylon the Evil, and gives Reggae a dimension of rebellion that resonates with the subversive aspects inherent to rock music. 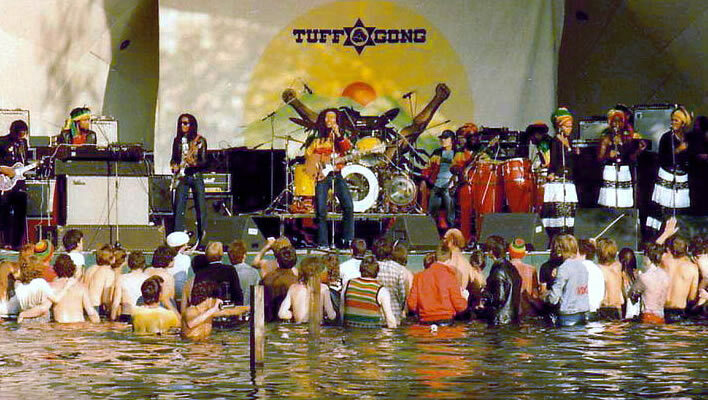 At the beginning of the 1970s, Reggae music meets a huge wave of interpreters like Peter Tosh (ex-Wailers, Bob Marley’s band), Bunny Wailer,Douglas Mack, Burning Spear, Black Uhuru, Israel Vibrations, The Gladiators, Gregeory Isaacs and also Horace Andy. However, Bob Marley, son of an English army officer in Jamaica and a gospel singer, stays the main artist and ambassador representing Reggae, and also a great popular symbol of political and cultural liberation all around the world. He made Reggae travel to reach the hearts of all people of the earth by extolling the Rasta philosophy and claiming that “Music is religion, and religion is music. 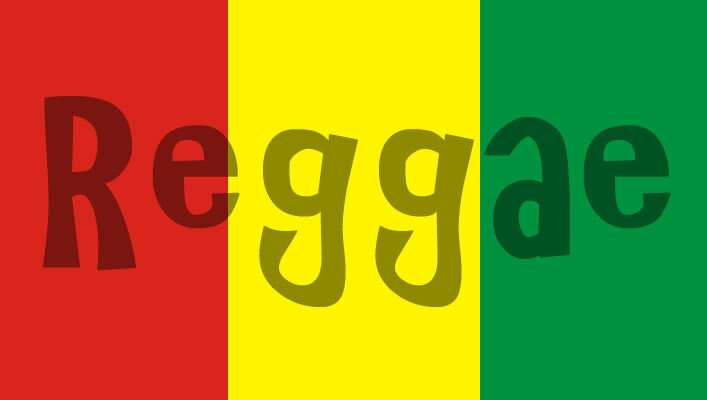 Reggae is a communication, the sweetest communication”. 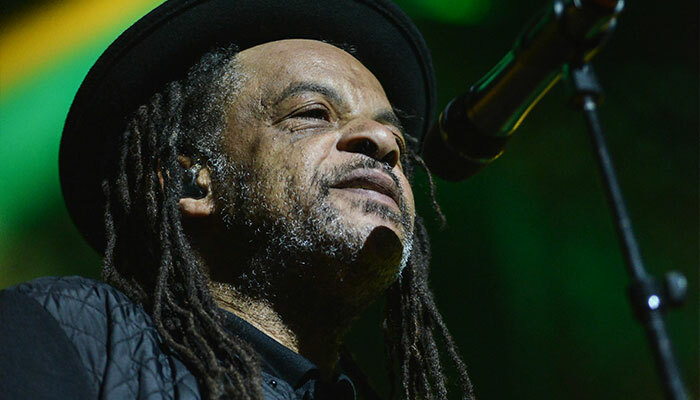 Today, there are numerous musical styles inspired by Reggae and the Rasta movement is seen as a local variant of the “hippie” trend, which had occurred in the occident during the 1970s. The Rasta message is therefore seen as a love and universal peace manifestation, preached by hippies. Although it is basically a peace and love message, this one can not only be summarized to both those alone. In fact, the Rasta movement is over all a conscience emancipation movement, and especially for the denunciation of a system drifts. Moreover, Reggae is rebel music, as it is sung by Bob Marley; the Rasta message is over all a rupture and spiritual rebellion message. This spiritual rebellion is often equated to a form of pacific action in the image of movements of Gandhi or Martin Luther King, and it isn’t generally true. Reggae music and Rastafarianism are being welcomed in all countries of the world to send the Rasta message, and to open its culture to the rest of the world. In the 1930’s there came about a movement many refer to as the Rastafarian movement. By the time it was 2001, there were as many as 24,020 people identifying themselves as Rastafarians according to the Jamaican census. In the 21st century, according to another source, they made up of 5 percent of the Jamaican population. It has also been rumored that there are approximately 100,000 Rastafari people living in Jamaica. This revolution started in Jamaica, and came from the Christian culture made up of mostly black people. Most of the followers worshipped Haile Selassi I as the reincarnation of Jesus or God or some other deity they felt he resembled. Some Rasta’s believe the word Rastafarian is “highly offensive” and shunned the “ism” part of the word. They would explain to you in no certain terms that they would not like to labeled “ism” themselves! How would you like an “ism” label for name? They truly believed themselves to be princes or kings because it was heartfelt that they were actually African Royalty. The derivative of Rastafari is as far out there as being known as Ras Tafari. The regal title of Haile Selassi I, it breaks down into the Amheric meaning of “head” and is further translated into the derivative of “duke” in the Ethiopian public eyes. When Jamaican people think of Haile Selassi I they either refer to him as Jah, God the chosen king, or Jah Rastafari. Another strong revelation is that there are “Mansions of Rastafari, in which of the three most popular are the twelve tribes of Israel, the Bobo Ashanti, and Nyahbinghi. The movement’s inspired themes were pretty trippy. On one side their realm they spoke of peace and using cannibus for spiritual reasons, then, they went and ripped on Western society of all the outlandish things. There are those that actually believe that Africa is the birth place of mankind with the beginning of this happening movement, starting with repatriatation (returning back to one’s original place of citizenship). Rastafarian is not structured as a “highly organized religion”. It’s more of a way of life to some, or an ideal, while others claim it’s not a sect or denomination, and it’s up to a person to find his or her self-inspiration or faith. In today’s society, much of the human population now is familiar with Rastafarians due to its theme being reveled in Jamaican music. 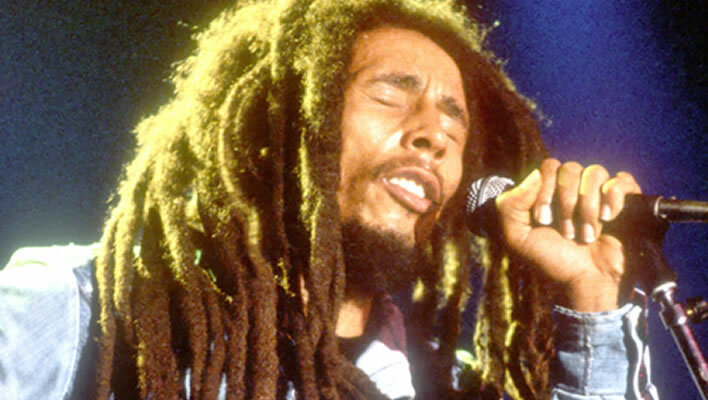 Bob Marley, a famous Jamaican musician, was a huge supporter of this movement. As he became more popular, interest piqued in the movement, and thus created a tidal wave of popularity for both Marley and his cause. In the 1930’s people were looking for a reason to believe they could overcome their dreary situations, and Marley struck the positive “change” they were seeking within this revolution. His music continues to inspire the world to this very day. Back in the 80’s while I was going to school, there were a lot of students who would either paint murals on the walls of our campus, or paint across long stretches of paper. One particular day, I saw a long stretch of paper with the words “Bob Marley and the Rastafari Movement.” I actually thought either the guys were on some serious dope trip or they just came out off of a creative hallucinogen, and I never gave it a second thought. Years later I figure out the true meaning, Isn’t that crazy? I hope you have enjoyed movement and my creative moment.